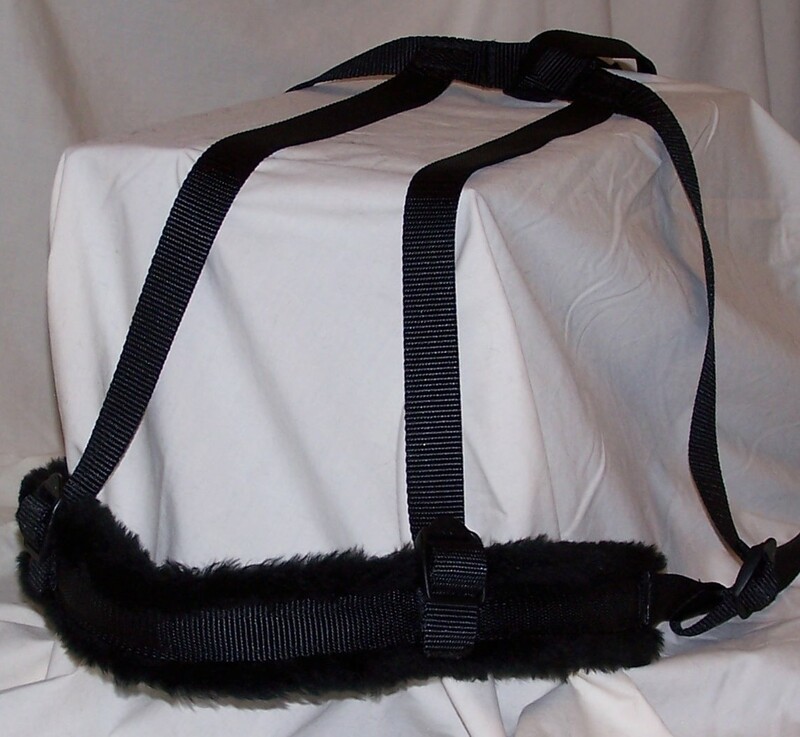 Bill and Barbie Wilzeck provided the original information needed for the design and testing of this breeching strap. 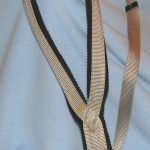 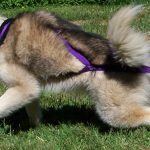 The breeching strap is used when a dog needs extra help with either heavy loads or a lot of up and down hill. 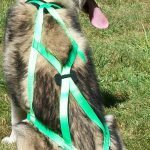 The strap keeps the harness from slipping forward when the dog is braking. 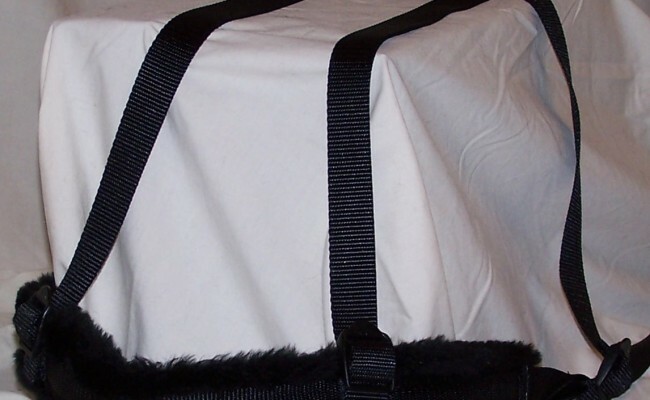 SKU: SCHB. 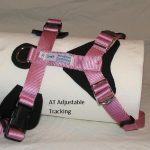 Categories: Harness-Extra, Harness-Fitted, Harnesses.